When you turn the box around, just like it’s battle-damaged counterpart, a picture of the bust is on the back. 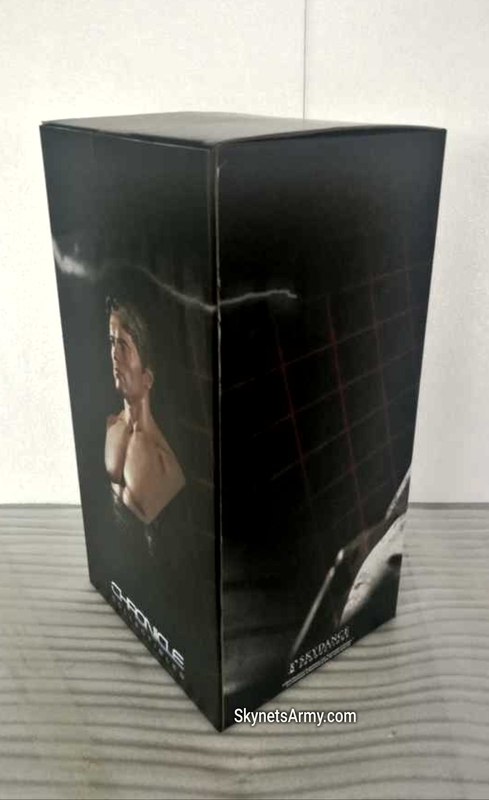 Chronicle Collectibles always does a fantastic job with not only the aesthetics of their packaging, but with their protection of the collectible inside. The bust itself is an outstanding sculpt. 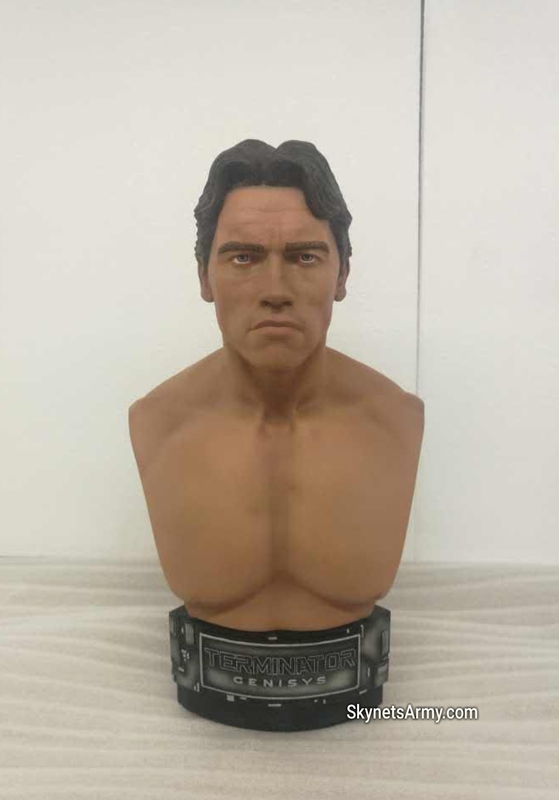 Measuring 14 inches tall, 8 inches deep and 6 inches wide, it really captures the likeness of Arnold Schwarzenegger in 1984. We have received word that these busts will likely be shipping from Chronicle Collectibles’ factory this February, and hopefully end up in customer’s hands not too long after that. 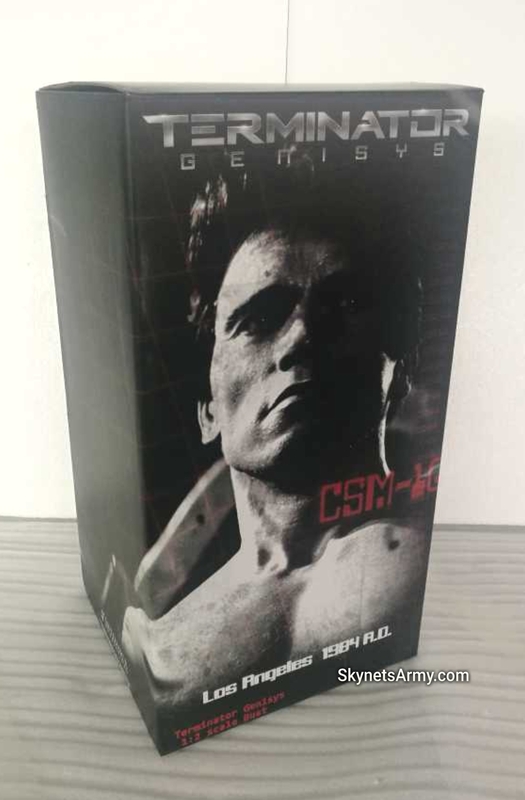 The good news is, there is still time to own one of these terrific 1984 “Terminator Genisys” 1:2 Scale Busts! 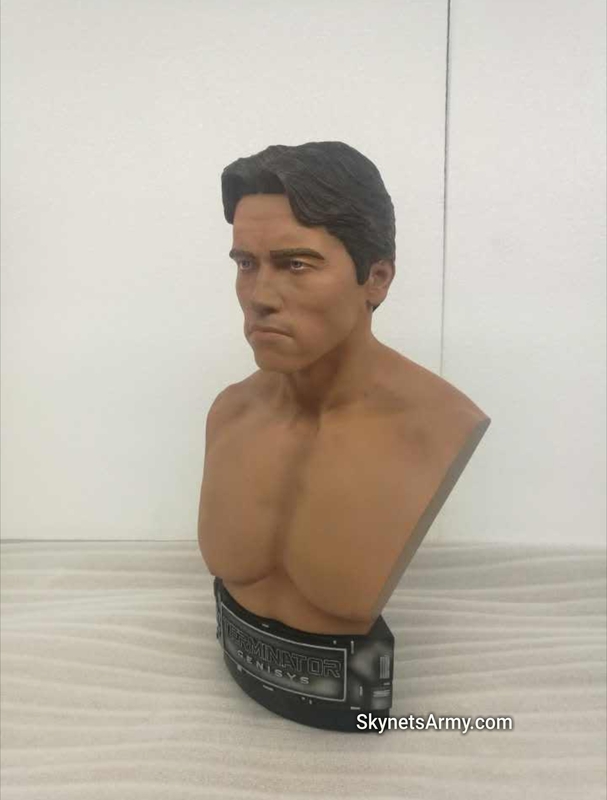 So if you would like to add this to your Terminator collection, click HERE to buy yours before they’re all sold out! 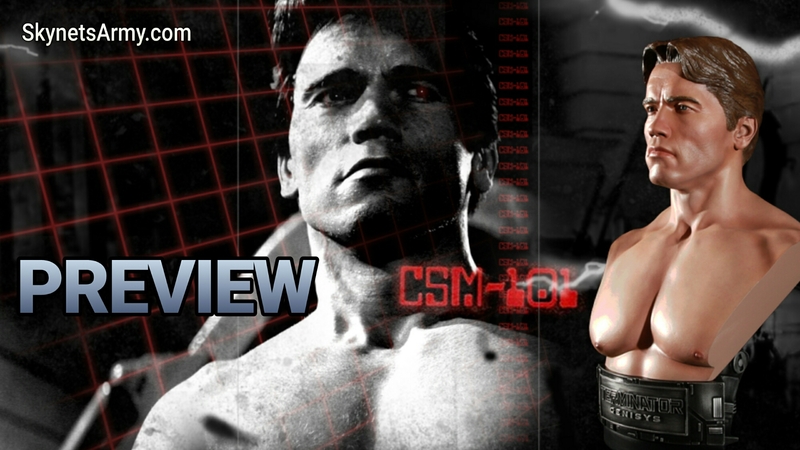 Previous PostTERMINATOR 6 : Taking another look at rumored inside information. 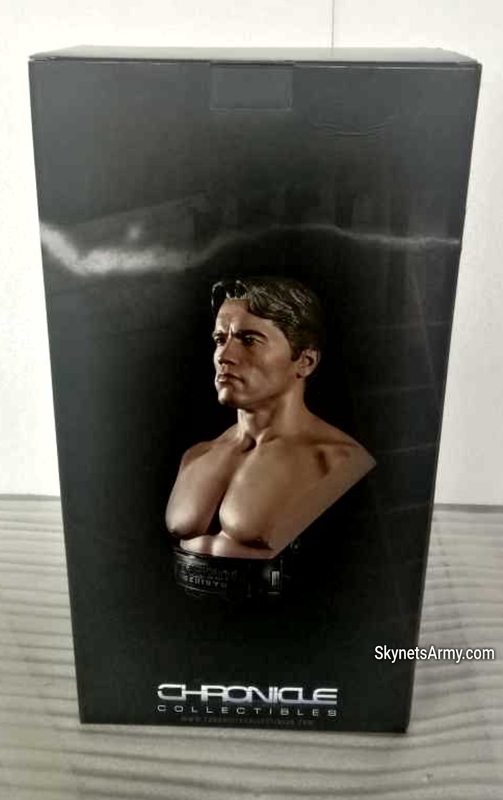 Next PostNECA TOYS announces a 1/4 scale 18 inch T-800 figure in time for “TERMINATOR 2: JUDGMENT DAY 3D”!